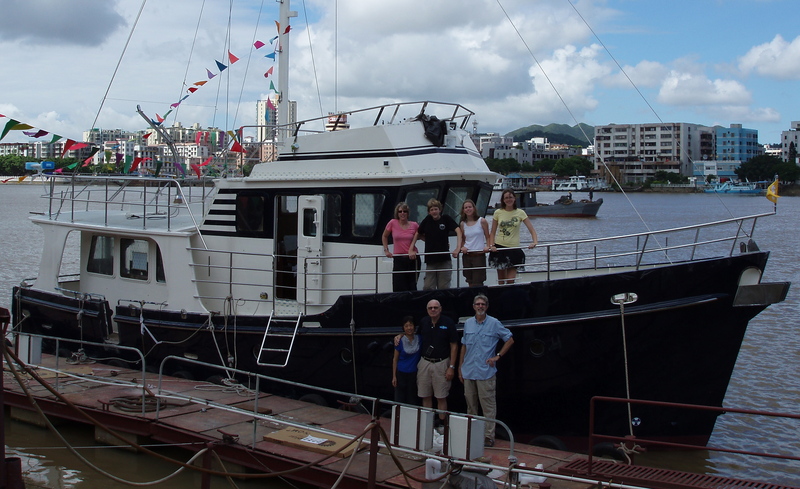 The Project: a four year boat building project that has introduced the Douglas family to Hong Kong, Zhuhai, the Seahorse Marine boat yard, Bill and Stella Kimley, and a universe of experiences, sights, and adventures that will never be forgotten. The deal was struck in October 2006 and over four years later, on January 21, 2011, John and his good friend, Brian McCutcheon motored away from Seahorse aboard the Laysan. The Plan: motor Laysan from Zhuhai, China to Hong Kong, then on to Subic Bay, Philippines for a layover. The next phase is to travel from Subic Bay north of the equator through Micronesia and ultimately to Honolulu, a distance of approximately 5,700 miles. Most recently, Laysan traveled 2,270 nautical miles from Honolulu to Port Angeles, Washington.